Excellent as PRE-SHAVE for MEN !!! 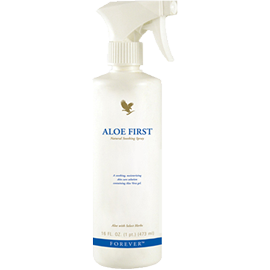 Aloe Activator is a multi - purpose product to clean , freshen, soothes the skin. 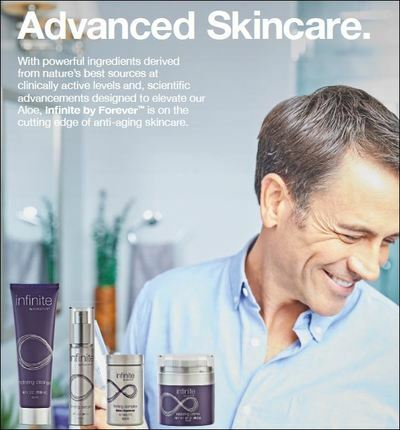 ​Provides a unique blend of seaweed extract & sodium hyaluronate. 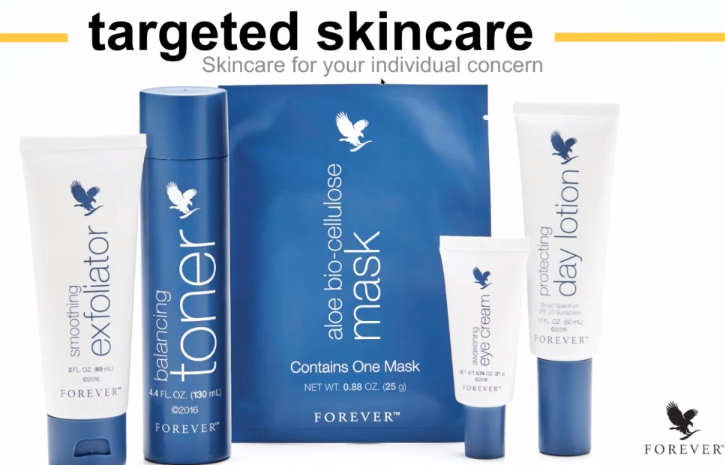 When combined these two powerful ingredients, it moisturize and soften your skin to support youthful looking skin. Encapsulated in emollients that gently remover surface debris. Smooths skin's tome and texture. Excellent as pre-shave for men. ​*Use in the morning and night all around the eye-area ring finger is best. ​Forever Epiblanc’s exclusive formula is specifically designed to brighten the complexion and even skin tone while helping to diminish the appearance of dark spots. 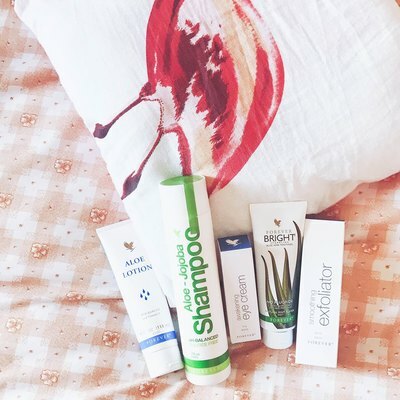 Our 100% stabilized Aloe Vera is an excellent base for natural botanicals such as Arbutin (Bearberry), Rumex Occidentalis and Natural Vitamin E, resulting in this extraordinary product. 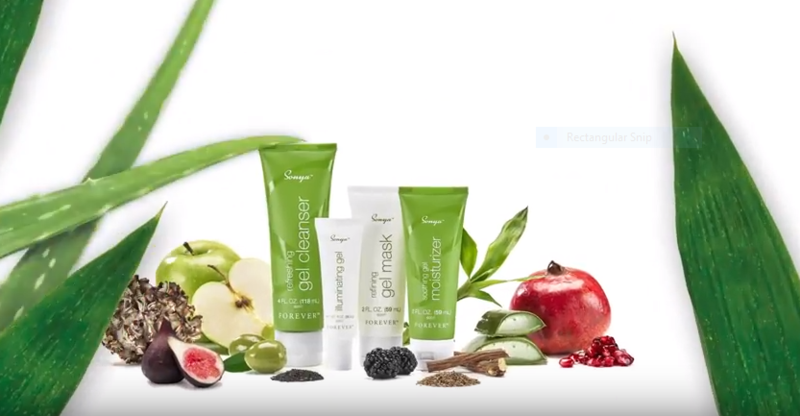 ​Mask Powder is a unique combination of rich ingredients chosen for their special properties to condition the skin and cleanse the pores. 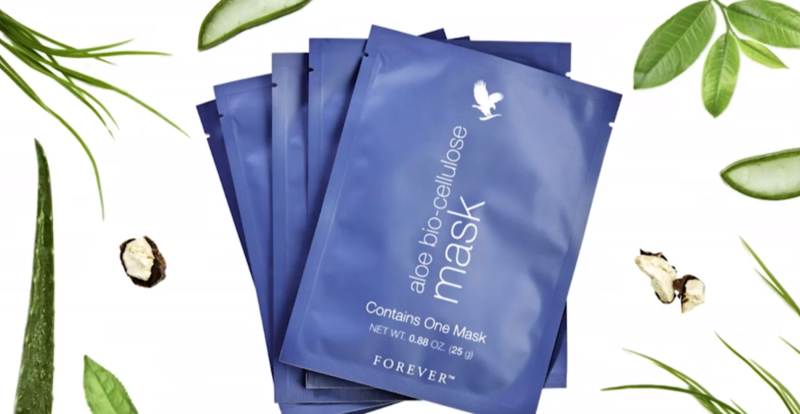 It is designed to blend perfectly with our Aloe Activator to create a thin mask for easy application to the face and neck. Albumen and corn starch provide drawing and tightening properties, while kaolin absorbs excess oils. Allantoin and chamomile help to condition and rejuvenate the skin. 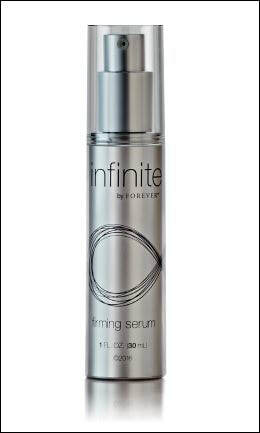 been smoothed on and absorbed through the skin, makeup can be applied as usual. All-purpose skin lotion with a high content of pure, stabilized aloe plus Jojoba Oil and Vitamin E to moisturize and soothe the skin. 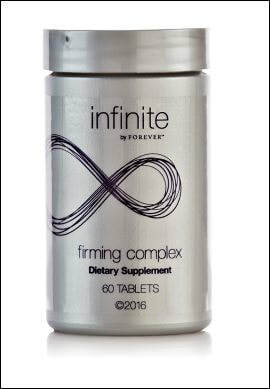 Collagen and Elastin are added to this fine mix to assist in keeping the skin smooth and supple. It is an ideal choice for applying to dry, chafed, wind-blown or weathered skin. 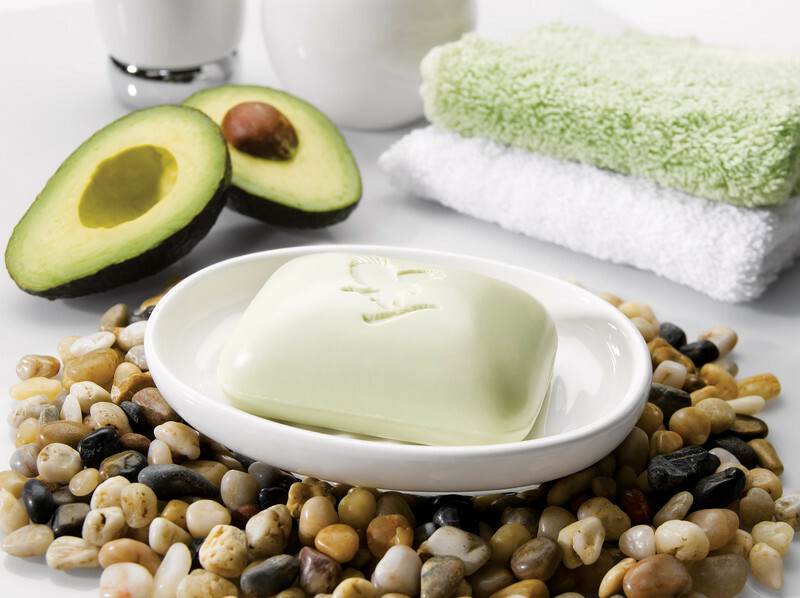 Aloe Vera Gelly is a thick, translucent gel containing humectants and moisturizers. Readily absorbed by the skin, it soothes without staining clothes. 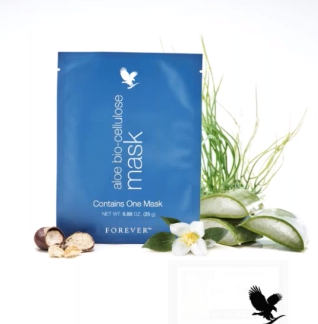 ​Aloe Vera Gelly provides temporary relief from minor skin irritations. It can also be used on the skin prior to ultrasonic treatment, or after electrolysis. 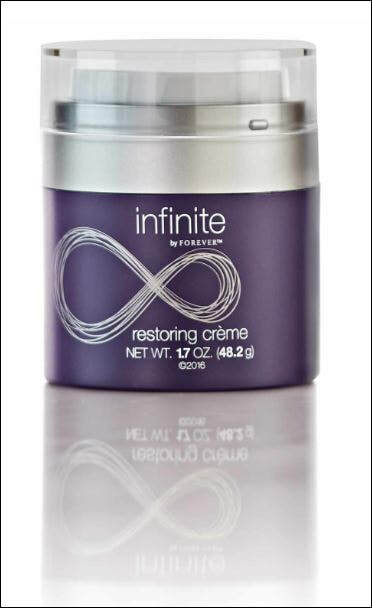 Hairdressers use the Gelly around the hairline to protect the skin before perming and coloring. eye contact occur, flush with water for several minutes. Repeat application as needed. 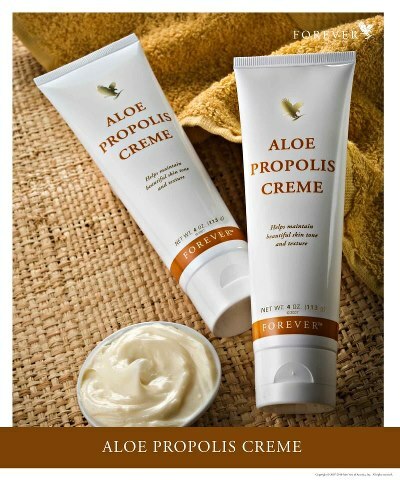 A rich, emollient lotion containing warming agents and Aloe, it’s ideal for soothing stress and strai. Made with 100% pure avocado butter. Fresh citrus scent is a gentle reminder that it’s helping to keep your skin soft, supple and healthy all day long. 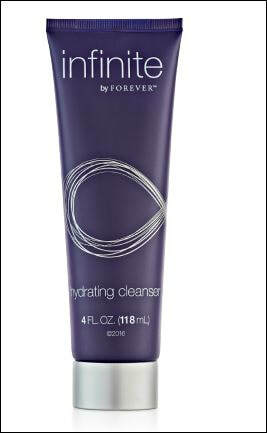 Forever Aloe Scrub®. With its unique combination of Stabilized Aloe Vera gel and solid micro-spheres made from pure Jojoba Oil, this effective skin cleanser is gentle enough for everyday use and strong enough to clear away the debris that accumulates in the delicate pores of the skin. In combination, these two natural ingredients will clear the way for the skin’s own unique renewal process, while helping to protect it from the drying and damaging effects of synthetic cleansers. 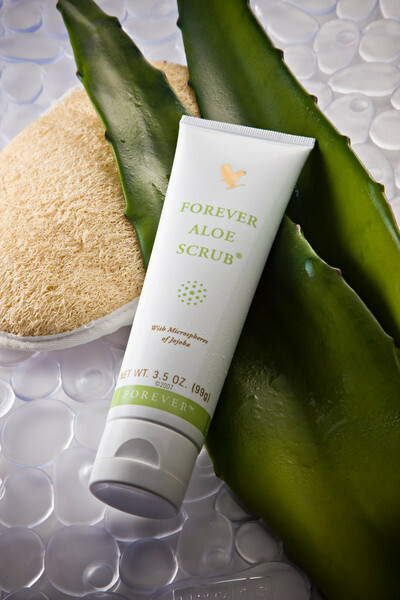 Forever Aloe Scrub gently scrubs away dead skin cells and debris that clog pores and dull the skin’s appearance, to begin revealing radiant “new”, healthier skin. Natural exfoliator for face and body,prepares skin for moisturizer,gentle enough for everyday use.